Just got this in the mail (thanks sis)!! 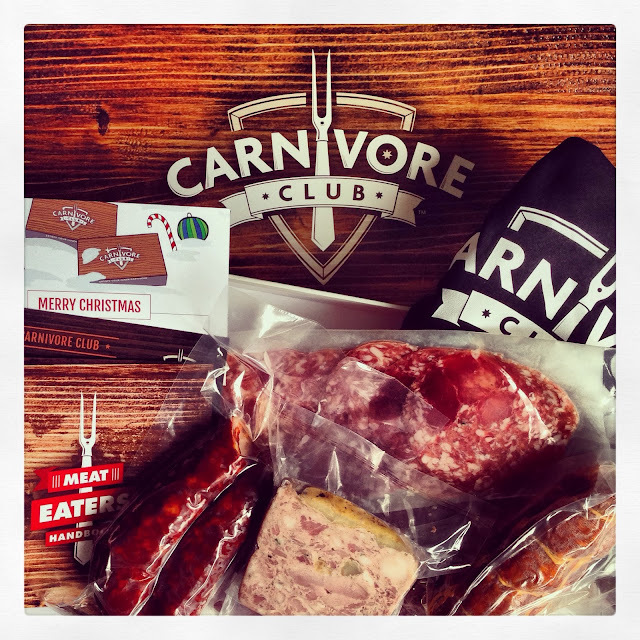 Carnivore Club is a Meat-of-the-Month club based in Toronto and with the December tasting box, they also included a logo tee as an additional gift. Actually, I think it would have been more amusing if they included a logo apron instead! I'm SUPER excited to try this one out. But with all the holiday food going I'm going to save this guy for the new year.